The new healthy snack from Alfa made with natural ingredients and baked in the oven, will surely amaze you! 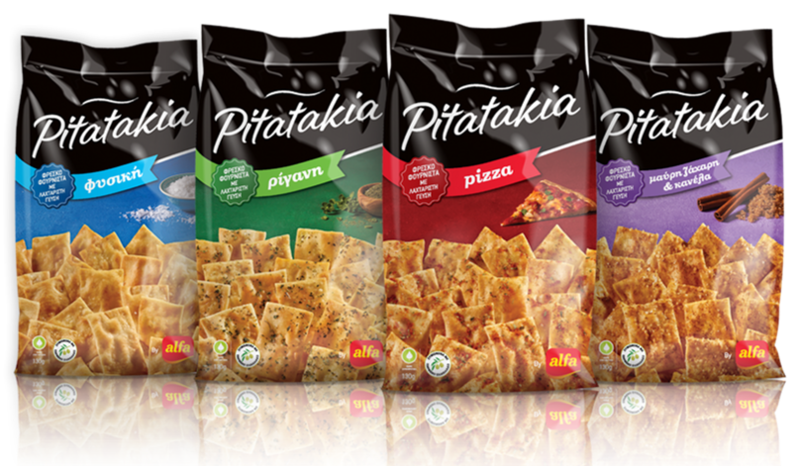 Pitatakia is a healthy snack of nutritional value for every hour and occasion. Focusing on Alfa’s philosophy of safe and qualitative dietary choices with pure and exquisite ingredients, Pitatakia are fermented with olive oil and baked in the oven. They are not fried, contain no preservatives and trans fats and are available in 4 delicious flavors: natural, oregano, cinnamon – sugar and pizza. Pitatakia is another product distributed by LaikoCosmos Trading.